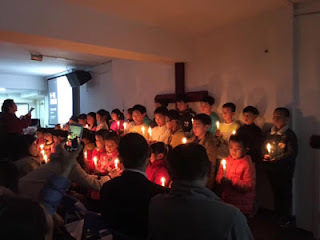 (Chengdu, Sichuan-Feb. 5, 2019) Lawyers of Christians imprisoned in a massive crackdown of a large Sichuanese church have submitted complaint letters to local government bodies, stating they have been repeatedly denied access to their clients in violation of Chinese legal practice. The same day, Attorney Zhu Jianxin and a fellow colleague filed complaints with the Chengdu Municipal People’s Procuratorate, stating they also had not been able to meet with the Early Rain Covenant Church attendees they represent. Yang Hui and Wen Yu, hired by detained church elders Li Zihu and Su Bingsen, respectively, released an open letter questioning why none of the Early Rain Covenant Church members have been allowed to meet with their lawyers, with the given reason being that they are still under interrogation. Additionally, some families of the detained church members have had their bank accounts frozen. In 2018, Early Rain Covenant Church faced intense persecution, with the authorities suppressing both their memorials for the victims of a 2008 earthquake and the 1989 Tiananmen Square Massacre. On the evening of Dec. 9, the persecution culminated in an overnight, mass arrest of around 100 people. By the end of the week, many more had also been taken into police custody.